James Thompkins, cofounder of Free on the Outside (FOTO), addresses the audience that was in attendance at the Education Over Incarceration: Destroying the Stigma. 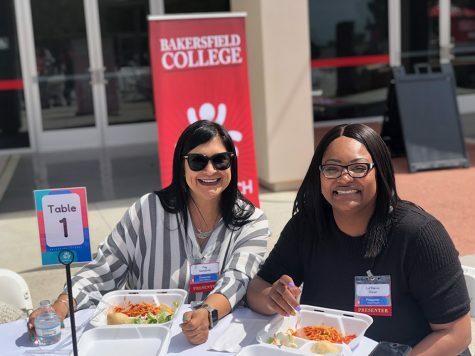 Free on the Outside (FOTO), an organization that is a part of the Bakersfield College Student Life, hosted a panel discussion, Education Over Incarceration: Destroying the Stigma, where formerly incarcerated BC college students, BC students, professors, professionals and the public were invited to join in on a talk about the issues these students face. The discussion was also about destroying the stigma of having been in prison. The discussion was hosted in the Fireside Room at BC on Nov. 14 from 6 pm to 8 pm for students, professionals and the public. 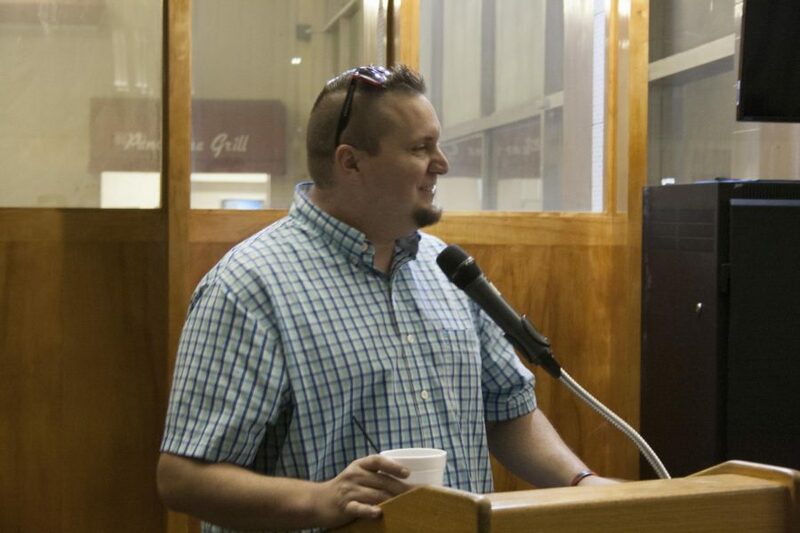 James Thompkins, one of the club’s co-founders, said they have a mission to “empower previously incarcerated individuals and their allies, by promoting leadership, education, and advocating for intelligent policy change.” FOTO also aims to change self-perceptions and public perceptions of those who have a criminal record, create a space which promotes sharing and discussing ideas, and create “strong academic, professional and social networks for students,” according to Thompkins. The panel consisted of FOTO members, guest speakers, a BC counselor, and educators both from BC and CSUB. There were some that attended the discussion because they were members of FOTO and wanted to share how the organization had made a difference in their lives over the past year. Meanwhile, others who were curious about how the organization could make a difference in their own lives, and were considering enrolling in BC, had heard about FOTO’s success through education for those who are previously incarcerated. 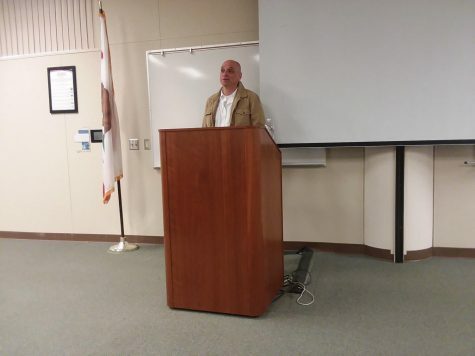 Those students, who had been impacted at one time or another by the system, shared their personal stories as well as their desires to be fully engaged in their educational pursuits in the discussion forum. They attended because of their desire to break the stigma that prevent students from moving forward educationally and vocationally. There were some panelists that were allies through mentorship and support at the educational level. The kinds of careers FOTO members are interested in pursuing are varied, from engineering, to teaching, to communications. There were also a few non-students in attendance, who previously were incarcerated. They mentioned they desired to go to college to major in journalism, liberal arts and the culinary arts. James White, who sat on the panel as part as the seminar’s guest speakers, said he was a former drug dealer and gang member. He broke through the barriers to education and employment after he became a Sociology professor at CSUB. He is very active as an advocate for those who have been previously incarcerated and have made a decision to pursue education. Greg Castro, one of the panelists, a BC student and FOTO member, said that his future is about helping “provide options for kids.” After living the life as a gang member with 15 years in the prison system, he enrolled at BC to work on his degree program. He said he plans to impact children within the community so they are not caught up in the same kind of lifestyle he came from as a youth. He said that by providing children with options, they have a future. Emmanuel Limaco, a leader for MEChA Student Organization (Movimiento Estudiantil Chicano de Aztlán), and also an engineering major at BC, and one of the co-founders of FOTO, faced life in prison. However, he made decided to make some changes. Some of those choices led to homelessness, and a series of other difficulties, but that led him to the doorstep of college. He said, “my dream was never to be a gang member but to be married and to have children.” He is now half-way through his degree program. After proving to be a model citizen, and student, the hurdle to prove that they aren’t the same people who committed crimes prior to pursuing their degree, and changing their lives, is still present. 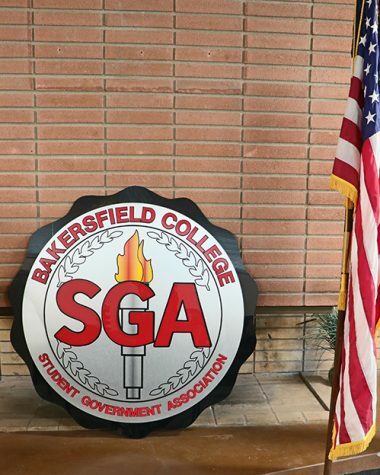 Dezi Von Manos, a communications major, has a desire to become a prison chaplain and serves as president for Bakersfield College Student Government Association (BCSGA), and is FOTO’s secretary as well as a member. She was a speaker on the panel and said that she was engaged in gang activity in the past but decided she wanted to change her life. 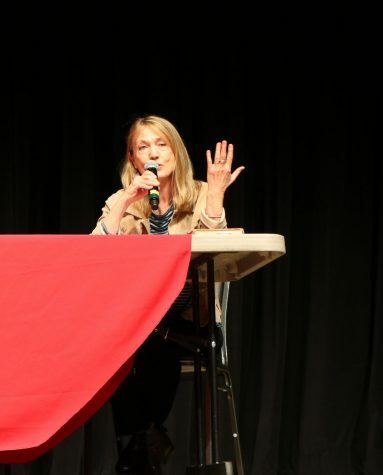 Von Manos said she became a member of MEChA, a campus organization which promotes higher education, leadership, political involvement, advocates for its culture, and history through demonstration. MEChA believes that through this social context, society progresses. She shared how she worked at climbing the ladder of leadership success on campus since becoming a student, and she believes that these students can do what she has done. 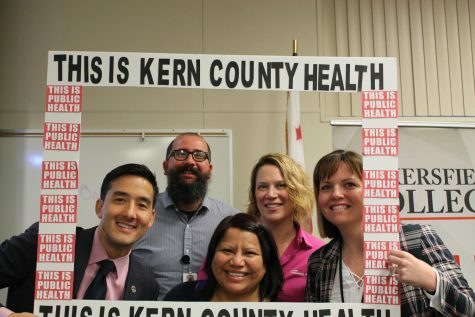 “… we move forward and we can show not only ourselves but also our community that we can become productive members of society,” Von Manos said. Von Manos wasn’t the only one whose grit paid off, in fact, that “grit” has placed them in the places they need to be in order to advocate on behalf of those who’ve been to prison and want a chance. Tara Hunt, a BC student, and a FOTO member, who was also previously incarcerated, was determined. Serendipitously, she met Supervisor Leticia Perez of the 5th District, who became very interested in Hunt’s story and desire for success. So, she offered her an internship. Perez went even further after the internship and hired Hunt on at her office. This changed the course of Hunt’s life. She was able to have facial tattoos removed, and she became involved in the political scene. On Nov. 27- Dec. 3, she will be speaking with Governor Brown for its Annual CSAC meeting. She wants to help come up with solutions for those who are incarcerated so that they can have a future that is not determined by their past criminal record. In this way she intends to use her past as a bridge for those who come after her. She wants to redefine their success, and help erase the stigmas for those who have served time and have been disenfranchised from having lives that those who have never been charged with crimes have. Chelsea Esquibas, FOTOS Advisor, and also a guest speaker and panel member at the event, serves as a Program Coordinator for the Inmate Scholars Program, which oversees the educations of inmates who are in the prison. She said, “We need to create a pathway for [inmates] to get out, a pathway back home, a pathway to success.” The power of your story, the power of your student stories, we can go in and educate.